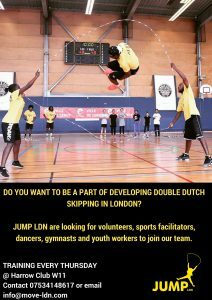 Welcome to the page for our Double Dutch Skipping project based in West London. 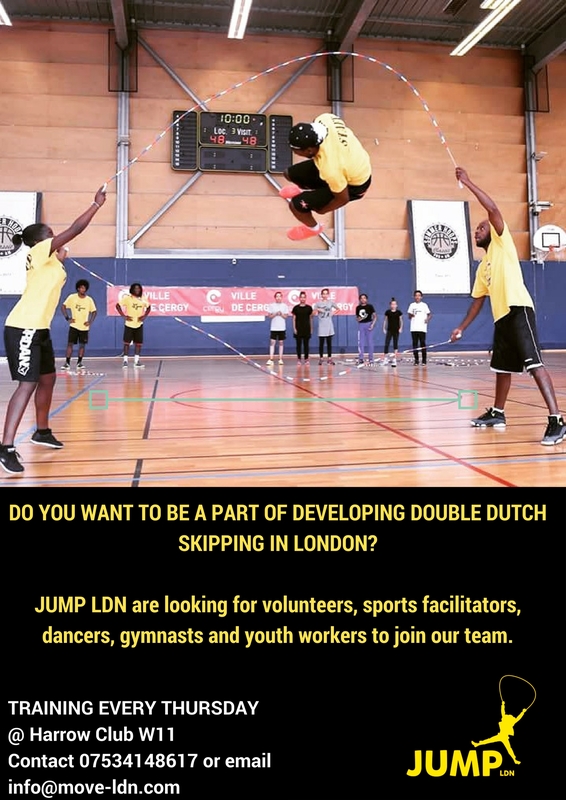 JUMP LDN are a team of sports teachers, youth workers and volunteers who are passionate that Double Dutch skipping can inspire the next generation of young Londoners and change lives for the better by introducing them to the many opportunities Double Dutch skipping has to offer. We are a team of young Londoners from all walks of life who know what its like to grow up in London and the challenges it faces. We passionately care about our community and want to see our young people thrive! Our mission is to inspire & empower young peoples lives through the world of Double Dutch! 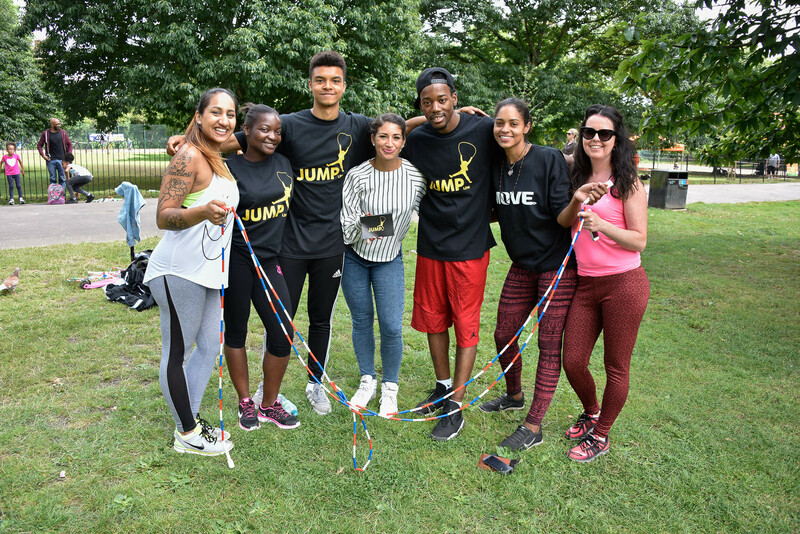 By 2018 we would like to establish JUMP LDN sessions within London as a safe space to empower young people to develop life skills and be active through Double Dutch skipping and its combined sports – gymnastics & dance. Introduce Double Dutch as a fun physical activity within schools & local communities across London. Increase physical activity levels of young people from socially disadvantaged backgrounds. Provide positive role models for young people through our Double Dutch community. To find out more about Double Dutch click here. If you are interested in working with us please get in touch! 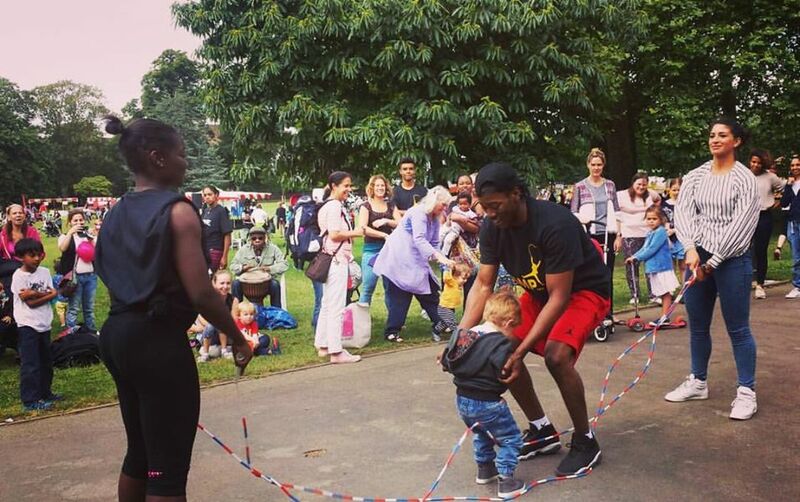 Double Dutch has the power to break down barriers and connect us without us even realising, make fitness fun and creative”.